this summer I give ONE BOOK per week, (almost) every Sunday. 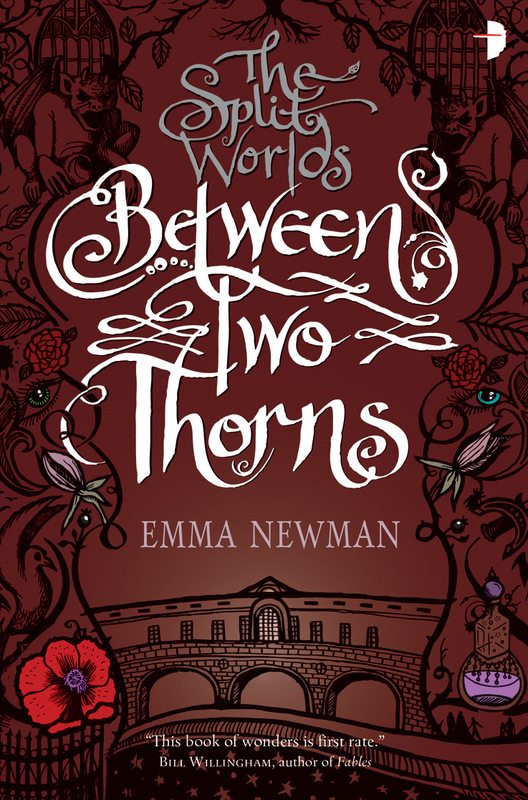 Today I’m giving away BETWEEN TWO THORNS by Emma Newman. It’s a YA Fantasy book first published in February 2013 by Angry Robot and it’s the first book in the Split Worlds series. The giveaway is open until Wednesday 14th August 2013 at 9am (BST time). This entry was posted in Sunday Giveaway and tagged Between Two Thorns, book giveaway, Emma Newman, fairies, fantasy, Reading, Split Worls series, Sunday Giveaway, YA Books, Young Adult literature. This looks like a fabulous series. I love the excitement of beginning a new series. The Pirate’s Wish was written by Cassandra Rose Clarke, but I believe both series have the same cover artist.